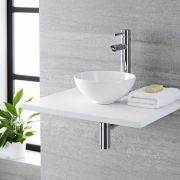 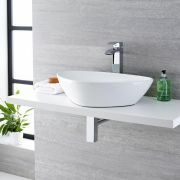 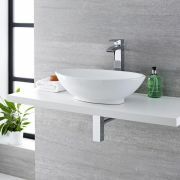 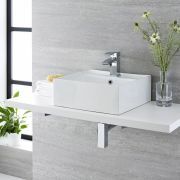 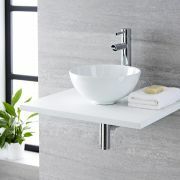 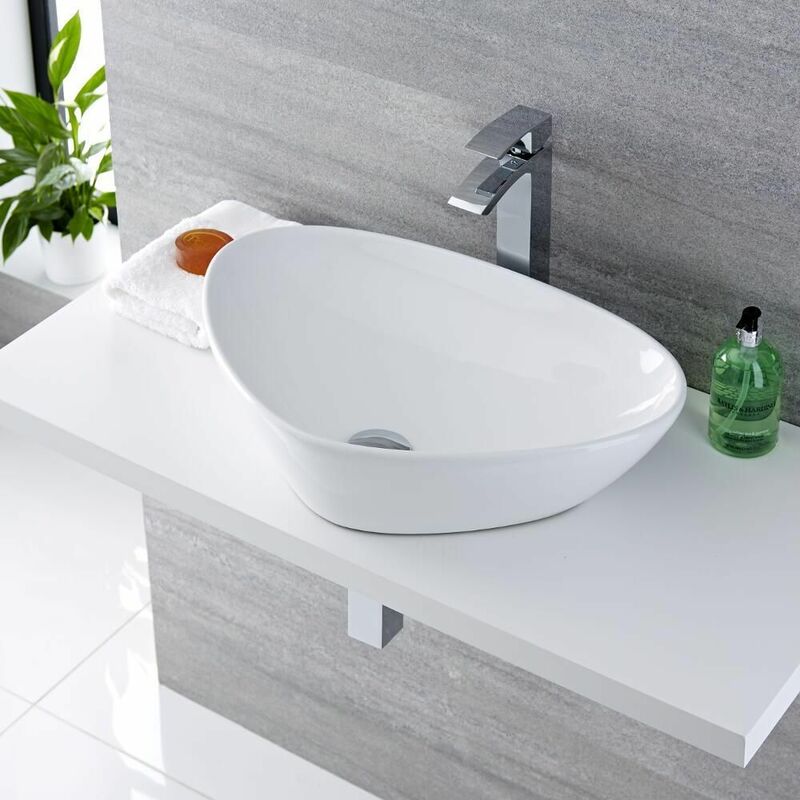 Give your existing bathroom or en-suite a makeover with the modern and contemporary styling of the Milano Select 590mm x 390mm countertop basin. 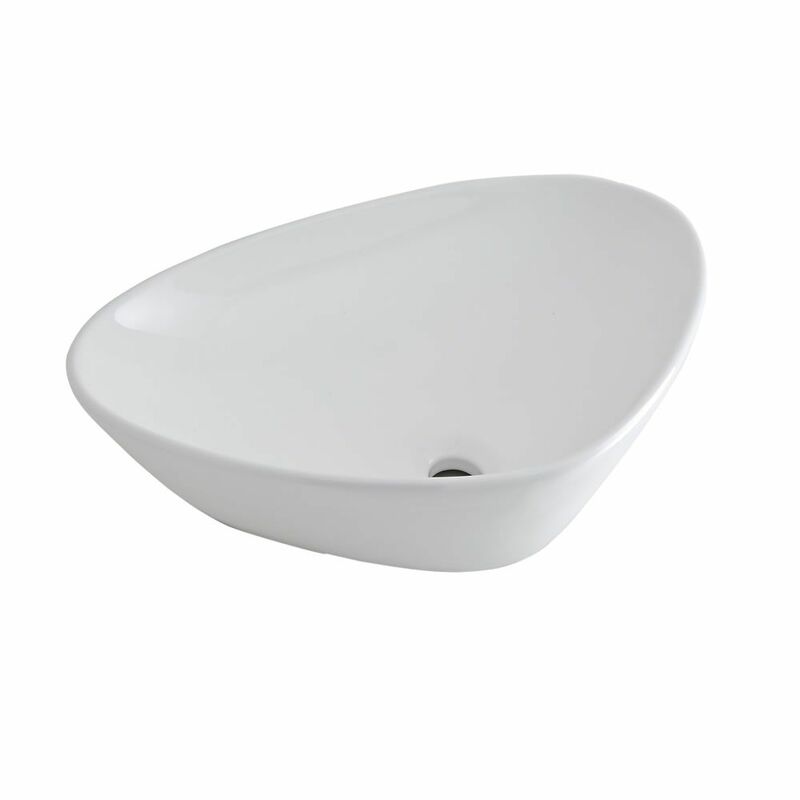 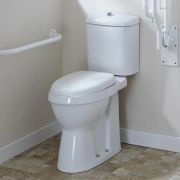 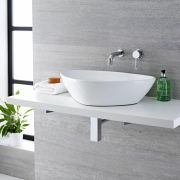 Made using premium quality ceramic and benefitting from a durable and easy to clean white glaze, this basin encapsulates the clean lines of stylish design. 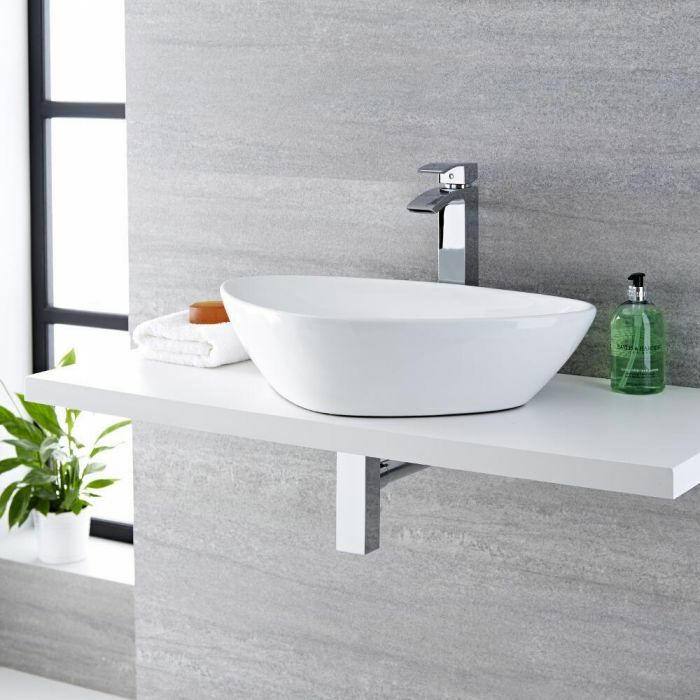 The basin can be installed on a worktop or vanity unit and doesn’t include any tap-holes, allowing you to choose from one of our wall-mounted or high-rise basin taps to achieve the look you want.